A few weeks ago, a reader by the name of RJ left a comment asking about my body care routine. Here’s her question: “Iâ€™m curious to know more about your body care routine. I always wonder if I should be using the same anti-aging ingredients & layering technique on my body as well.” I thought her question is rather interesting because I happened to be thinking about that topic at that time. If I understand RJ’s question correctly, she wanted to know if she should use products with anti-aging ingredients such as retinol, vitamin C, copper peptide, or other antioxidants on her body. Well, it would be nice to use luxe products with such ingredients on our body too but I guess not many of us can be like Jennifer Lopez who is rumored to use Creme de la Mer all over her body! Personally, I can only afford a staple of normal body moisturizers and the most I have done is to layer my skin with body oil prior to moisturizing. I’ve been fond of using oils on my body as many oils, such as those with oleic acid content, can easily penetrate the epidermis and reach the dermis. Moisturizers, on the other hand, tend to moisturize only the epidermis layer without much ability to penetrate deeper. An exception would be those containing ingredients such as cocoa butter and shea butter that are able to penetrate deeper and also moisturize. The problem with using body oils however, is that they do leave an oilier reside compared to a moisturizer. Some people will be worried about leaving oily stains on their bed sheets. So what I do on some days is to apply a layer of body oil and then top it with another coat of moisturizer to keep my skin matte – something I learnt from another reader, Cass. I consider this a body treatment and it’s effective in keeping my skin smooth and moisturized plus at the same time, I know my skin is being nourished at a deeper level. The only thing is, I’ve been so lazy, I don’t do this regularly enough; it’s usually using one or the other only. Aside from using body oil and body moisturizer, the other thing I do fairly regularly is to exfoliate the skin on my body too. That way, my skin is primed to better absorb the nutrients from the body oil and the moisturizer. Again, I don’t do this as often as I would like to but only when I remember to. Last but not least, I always use a sunscreen on my body, especially my arms and my hands to prevent sun damage, which always cause skin aging. Tips to optimize your facial moisturizer Moisturizer to heal skin & relieve itching How to use face serum with moisturizer? Is using a moisturizer with SPF good enough? Hurhur…I use whatever sunscreen I don’t apply on my face. And now, I’m using the leftover moisturizer from the Kimberly Sayer line. I like that moisturizer but because I’m using MVO, so kind of a waste to leave it lying around. At the moment, I am using my own mix of body oil, carrier oils with healing, nourishing properties and anti aging as well. I am loving it and I must say it’s better than store bought ones! Mmm..will try to layer with moisturiser! Sounds effective. Oh you’re using your own mix? That sounds great…I’ve never tried mixing carrier oils before actually. Oh, wow, thanks for such an awesome idea! Never thought of using both body oil and moisturizer together. I have very dry skin so will definitely give it a go. This should work well for your skin type…and you won’t find your skin too oily too. I’ve recently started using Madara Anti Cellulite Cream and Oil.. and it was recommended to use the cream first, then seal with oil.. Seems that you’re practicing the other way round 🙂 Just wondering.. oil first would form a seal / barrier, preventing the cream to be absorbed, no? That’s right…by right you should use cream then oil but my objective is not to get the cream absorbed because I want it to coat over the oil to create a more matte feel. This cream I use does not have much benefits beyond the epidermis and so I’m fine using it this way. Anyway, the cream does dry up quite quickly and so it’s almost as if it’s absorbed. If your cream has more benefits other than moisturizing, then it’s best to do it the other way…cream first then oil. But that would probably mean the skin feels oilier. I understand…can be a bit heavy and that’s why I don’t use this every night. I have to agree with Amanda. I cannot see myself layering products on my face let alone my body under Singapore’s climate. However, I had recently bought the Palmer’s Cocoa Butter Body Lotion (500ml) for the price of a 400ml bottle. I must say the texture is richer than most regionally manufactured commercial brand although it cost more. The scent of the product is quite strong if you do not mind. Layering isn’t so bad compared to using like a body butter. I hate using body butter…can’t use it at all actually. I have weird skin that gives me dry legs and an oily upper body. In the winter, I alternate between shea or cocoa butter and Alba Botanica Kukui Nut Organic Body Oil for my legs. It’s not that expensive and it smells pretty good. The idea of layering moisturizer is a good one. When fall rolls around I’ll have to try that. Oh…that’s kind of strange. So your hands are oilier? I did a check on mine and they’re about as dry as my legs. Yup. Oily hands, back, chest. I use oils for massages, but doesn’t using them after bath make the clothes oily? Not too bad…but that’s why I suggested using a cream over and it would not be so oily. just wondering if u have any suggestions on knowing if the moisturiser is gd enough? i’m pregnant and am using Palmer’s cocoa butter religiously everyday. But i feel that it doesn’t absorb tat fast and leaves a layer around my skin… though it gets absorbed eventually after an hour..
You might want to double up with an oil. 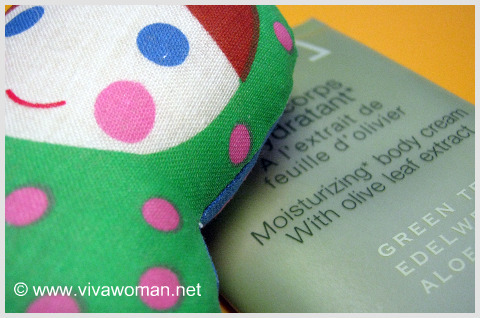 Today, I saw a new oil for body at Guardian’s that is good for stretch marks. Just that I’ve forgotten which brand – if it’s Evolu or another eco brand one from Korea. It’s supposed to help with stretch marks. But cocoa butter is generally said to be good for stretch marks. 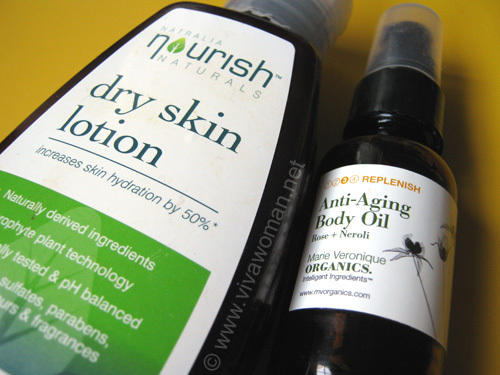 Okay, I just remembered the brand – it’s Nourish Naturals from Australia. They have a product – Natralia Nourish Skin Oil – that looks good, claims to be effective against scars and stretch marks. Cost is around S$38 if I recall correctly. I agree with you Lola, Argan oil really effective in terms of reducing the appearance of stretch marks which is really amazing. I’ll advice my friend also to use this because she is really get frustrated with her stretch mark. Great review! Actually, for face and body, if you make up a blend of ‘dry oils’ (oils that don’t leave an oily residue behind), such as Hemp Seed Oil, Rice Bran Oil (which also has a small amount of SPF properties) and Macadamia Nut Oil, you might be pleasantly surprised. In Winter months, I make a moisturizing cream containing the same oils, plus a dash of Castor Oil and EVOO for my skin in particular, with a small % of dimethicone (not absorbed by skin, but provides a protective barrier) and I apply that on top of my body oil. I don’t use the cream in summer though, because emulsifiers in creams and lotions tend to make my skin perspire, so I just stick with my body oil. Dry oils for body? So interesting! I’m also intrigued by your recipe of adding dimethicone to form a protective barrier. I don’t like silicones but this definitely sounds logical.